The economic benefits of 5G mobile will outstrip those of fibre broadband by 2026, just six years after it begins roll-out, claimed a study recently released by UK mobile operator O2 and its research partner Development Economics Ltd. 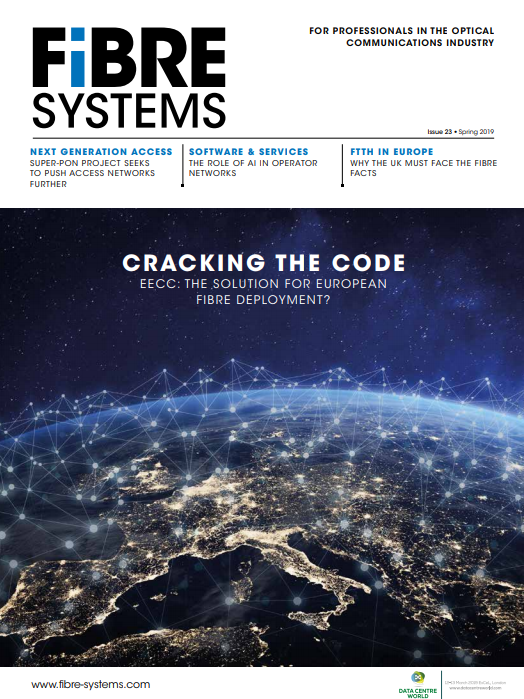 The report surfaced while I was at the FTTH Conference 2017 in Marseille, the world’s largest gathering of fibre-to-the-home experts and enthusiasts. Unsurprisingly, the reception to such a statement was less than lukewarm. So I asked the fibre experts for their view. “Ever since fibre deployment started in the early years of the 21st century, some pundits and policy makers have been asking why such infrastructure would be needed when mobile could do the job. In the last few years, as it became evident that 4G was no substitute to fibre broadband, these rants had disappeared but it looks like 5G speculation is reviving them,” commented Benoît Felten, founder and chief research officer at Diffraction Analysis. The report’s main premise – that 5G mobile has tremendous potential to spur economic growth – is not in dispute. The report estimates that businesses using 5G will create an additional £10 billion a year in direct and indirect economic value for the UK economy by 2026. (Similar lofty claims have been made for fixed broadband.) However, there are a great many challenges in attempting to derive such a result. It’s not clear what O2’s intentions were in comparing the imprecise benefits of a future technology deployment to those from fibre broadband – modelled on the roll-out by Openreach in the UK (which is mostly fibre to the cabinet anyway) that already reaches some 95 per cent of households. The mobile operator called on Ofcom to limit the amount of spectrum that could be bid on by its competitors in upcoming auctions, but that hardly seems related. It must also be said that ‘fibre versus wireless’ is an increasingly ridiculous stance to take. Though wireless technologies are continuously improving – so that the speeds available from advanced mobile networks are theoretically capable of matching the speeds from fibre networks – fixed and mobile networks serve quite different functions, and look set to become increasingly complementary in the future. Mobile operators may choose to deploy fixed wireless services as part of their initial 5G migration strategies, but this is unlikely to challenge fixed broadband, according to Felten. “Our analysis in a recent report entitled ‘Has the time for Fixed Wireless finally come?’ suggests that the costs for effective fixed wireless deployment are nowhere near as low as many people think, and that these technologies will therefore not be relevant for fibre substitution but rather fill certain market niches where fixed deployment is particularly complex,” he said. Framing the question as ‘either/or’ also ignores the fact that wireless networks are only wireless at their edges – as the FTTH Council Europe pointed out in a white paper in 2015, titled, ‘Working Together: The Synergies of Fibre and Wireless Networks’. As soon as those airwaves hit an antenna, they have to be combined and piped down a fixed connection as soon as possible. “The common misunderstanding we see when comparing the economic benefits of 5G and fibre broadband is that they are treated as two separate, independent technologies when in fact they are interdependent. The future of very-high-capacity wireless networks will result in much more fibre being deployed, rather than less,” stated Ronan Kelly, president of the FTTH Council Europe. This means that 5G will emerge first and be deployed faster in geographies where fibre is already deployed, he says. It also means that fibre will need to be deployed in geographies where it is not available before 5G can deliver better service quality than 4G. Widespread deployment of fibre access networks will make the business case for 5G a lot easier as the latest technologies, such as NG-PON2, are designed to allow multiple service types to share the same physical fibre.